Flowers in the air.. with the spring time here, all I can think is soft and romantic looks/colors/patterns/fabrics, something that's beautiful and easy to wear. Today's outfit is a mix of casual, romantic and boho styles: embroidered tunic top, ripped skinny jeans, floral heels, tote bag, small earrings and watch. For the hair style, you can invest in braids, like what Blake Lively wore in the picture above or Amanda Seyfried's romantic hairdo! 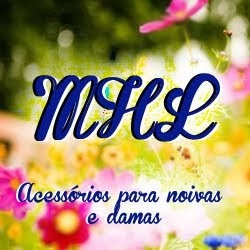 Flores no ar.. com a primavera por aqui, só consigo pensar em looks/cores/estampas/tecidos suaves e românticos, algo que seja bonito e fácil de vestir. O look de hoje é um mix de estilos casual, romântico e boho: bata bordada, jeans rasgados, sandálias floridas, bolsa transparente, brincos pequenos e relógio. Para os cabelos, você pode investir em tranças, como o que Blake Lively usou na foto acima ou o penteado romântico da Amanda Seyfried! 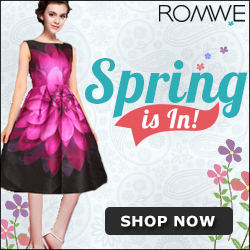 I really love the pieces you selected! That bag looks pretty amazing to me! Such a beautiful romantic look! Love the top and love thos shoes! Amazing outfit! Hope you have a wonderful day! Loving the peasant blouse! So pretty! In love with those jeans! So cute! adoro a primavera, minha estação preferida! Ahhh! Totally love this combo!! Amazing tunic! Eek I am so jealous of your collages! They are serious amazing. I love the idea of casual romantic, I think I will have to mimic it with some jeans and a lace top! Love that style, so beautiful! Love your whole outfit!! The tights are so cute. Que sapato mais lindo... amei! So pretty and romantic. Gaaah Blake's hair is always so stunning! Thank you for sharing this!! Blake Lively looks so pretty here! Love her! Oww I love that blouse Jess!! Such a fresh and stunning look!! this is such a beautiful outfit!!! My style is forever romantic princessy style. Great look dear!! have a nice day!! kisses!! Beautiful combo! I love the ripped jeans, they can combine with everything! Love this pretty casual look, I'd wear it any time. Perfect outfit. Thanks for sharing buddy. Acho lindo esse estilo delicadinho! This outfit you styled is adorable! I want Blake Lively's hair style! So pretty.